Millions of people in Myanmar are affected by annual water shortages—a fact exemplified by the situation in rural Mon state in the country’s southeast, where village wells routinely run dry for months in the dry season. The result: water insecurity and suffering for tens of thousands of Mon villagers. The DC-Resistivity method has significant potential in Mon state, given its ability to characterize freshwater aquifers and the occurrence of saline groundwater—both essential in a coastal region with limited groundwater supply often infiltrated by saltwater. Mon state’s generalized stratigraphy consists of an electrically resistive fractured crystalline bedrock underlying an electrically conductive clay aquitard, for which a significant contrast in resistivity is expected. Moreover, previous 1D Resistivity surveys funded by the Japanese International Cooperation Agency (JICA) in Mon villages have shown promise in determining optimal locations at which to drill wells. We discuss a proposed project with SEG’s Geoscientists Without Borders foundation, aiming to: a) deploy ERT (Electrical Resistivity Tomography) geophysical technology in water-stressed rural Mon villages to improve water security for people living in rural areas, increase well-drilling success rates, and empower women and girls; and b) build technical capacity in geophysical data acquisition, analysis, and interpretation by training local undergraduates, graduate students, and researchers/faculty at Mawlamyine University and government engineers at the Department of Rural Development, via global, multidisciplinary partnerships. We will discuss plans to train locals about ERT survey fundamentals and data analysis/interpretation, then run a survey campaign with the newly trained participants. We will then integrate the results with follow-up drilling to site optimal locations for wells, perform ground truthing, and generate case histories, contributing to the global geoscience community. Central to our project and proposed training will be the continued development of open source resources at GIF (Geophysical Inversion Facility), encompassing educational resources on ERT surveying and inversion using GIF open source software. We will also discuss our experiences and lessons learned from a previous 6-month Geophysical Survey Training volunteer placement in Myanmar with the Mon state Department of Rural Development, as facilitated by Canadian international development organization Cuso International. For this placement, we co-built an inexpensive resistivity device that successfully delineated low resistivity zones and achieved results comparable to a previous Syscal R2 survey down to 35 m depths. We also conducted initial calibration testing, trained government engineers in basic data acquisition and analysis, and developed essential relationships with a diverse set of water stakeholders in the community. Title: Can machine learning, AI, analytics and the IoT add to AEM processing and interpretation? Some recent papers in computer science related to the “Internet of Things” (IoT) have presented examples of detecting anomalies in IoT time series using deep (machine) learning. These examples have some elements in common with AEM data processing and interpretation, and may in the future lead to automated QC and first pass physical property prediction and ultimately geological interpretation. However, implementing and setting up such processes will still be a very significant challenge for geoscientists. I therefor suspect that the Australian mineral explorer that last year made its geologists and geophysicists redundant, and advertised for “data mining specialists” will be too far ahead of its time. To extract “useful” physical property information from this mountain of data, and thereby infer useful geology, there are many options. The historically most useful process combines physical insight to infer conductivity from the observed response with statistical methods to improve signal/noise. For example, EM data from a controlled source survey are presented as profiles or inverted with logarithmic time spacing, sensible for EM diffusion. Reduced noise has come from e.g. binary stacking, and recognition that sferic source energy is non-stationary and can usefully be “pruned” from the data before stacking. Subsets of the acquired data are then selected, modelled and inverted based on simple models or a-priori assumptions. Questions remain as to whether commonly applied a-priori assumptions are reasonable, whether all the useful implications of the data, such as induced polarization (AIP) and superparamagnetic (ASPM) effects have been extracted, and whether sferics, powerline signals and VLF can provide complementary conductivity information in a controlled source survey. Electromagnetic (EM) data is being collected at ever higher streaming rates, with airborne AEM data sampling rates approaching 1 MHz in some systems, and ground penetrating radar (GPR) sampling approaching 1 GHz. Six hours of data acquisition with BIPTEM, a 24-bit, 12 channel AEM system (6 B field sensor, 3 dB/dt, 3 rotation rate), each channel sampled at 156250 Hz will deliver over 150 GB of data. Dr. James Macnae, RMIT University, Melbourne, Australia. 7) Where might AEM be in 10 years? Note: Lunch is not included. Coffee and snacks will be provided at the mid-morning break. Payment will be accepted through PayPal. Click on the “Pay Now” button below. To register as a student, please email us at info@bcgsonline.com. This month we have two exciting speakers. Survey companies are increasingly favouring large 3D DC resistivity (DC) and induced polarization (IP) surveys to aid in exploration programs. We present a sensitivity-based data winnowing algorithm that can reduce the amount of data from 3D DC/IP surveys to decrease the inversion computation time but retain similar levels of resolution in the final model. The method is based on the sensitivity of the data to the model space and designed to retain equal sensitivity coverage throughout the model space. The algorithm is tested on both synthetic and field examples. Anglo American and De Beers have been supporting the development of low-temperature Super-conducting Quantum Interference Device (SQUID) magnetometers for over 15 years, with most of the research undertaken by the Leibniz Institute of Photonic Technology (IPHT) in Jena, Germany. This partnership lead to the development of a TEM sensor able to measure precisely the late-time step-response of the earth. The principal advantages of SQUID sensors for TEM surveys are: direct measurement of the magnetic field (hence the step-response of a transmitted square-wave), high magnetic field resolution at low frequencies, and a flat frequency response from DC to 10kHz. Early research also focussed on passive magnetic-field measurements, including the development of a Full-Tensor Magnetic Gradiometer (FTMG). Advantages of measuring the full tensor over the total-field include: higher spatial resolution; a five-fold increase in information about the earth’s magnetic field, including information about magnetic remanence; and insensitivity to diurnal effects. Standard cryogenic Dewars (cryostats) are vertical cylinders for ease of use, but this shape is not optimal for airborne surveys owing to the high-drag of the vessel. To overcome this drawback, De Beers and Anglo American funded IPHT to develop and construct a horizontal-cylinder cryostat that easily and aerodynamically fits into a fixed-wing pod or a conventional rotary-wing towed bird. The new system was trialed by De Beers over four projects during 2018, totaling ~ 17,000 line-km. The results of these surveys corroborate the advantages predicted by forward modelling, being increased spatial resolution and a much-improved interpretational capability of the causative geology. The accompanying presents survey results from a highly complex terrain in southern Africa to illustrate the aforementioned advantages of FTMG. A recent article in The Leading Edge by Dr. Yaoguo Li discusses the importance of quantitative geophysical interpretation in mineral exploration indicated by the below quote. Note: To keep course costs low, lunch is not included in the registration fee. Numerous quick and affordable options can be found near the venue. Gravity and magnetic data are among the most widely available geophysical data in mineral exploration and arguably have the most extensive areal coverage among all geophysical data with large depths of investigation. 3D inversion techniques have emerged as a major tool kit in the quantitative interpretation of these data over the last two decades. The ability to reconstruct the distribution of density or magnetic properties in various geological units through inversions has shifted interpretations from the data domain to the model domain and, thereby, transformed the interpretation from bump hunting in data displays to imaging structure and composition in 3D representations of the subsurface. More recently, the integration of inversion techniques is also poised to make major contributions to the emerging field of geology differentiation, which seeks to differentiate and characterize different lithology units, mineralized zones, or alteration zones by constructing quasi-geology models. Dr. Yaoguo Li is a Professor in the Department of Geophysics at the Colorado School of Mines, and Director of the center for Gravity, Electrical and Magnetic Studies (CGEM). He currently leads the Gravity and Magnetics Research Consortium (GMRC) sponsored by the petroleum and mining industry. He is specialized in geophysical inversion methods for potential-field, DC/IP, and electromagnetic data and in geology differentiation with a focus on applications in mineral and petroleum exploration and production. He is an Associate Editor for the journal GEOPHYSICS. 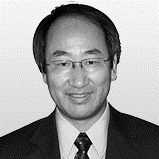 He is a member of AGU, EAGE, and SEG.